Multiple seating type discounts available on this offer to see Opium. Save up to $32 off your tickets when you reserve online now. Rates start at just $97/pc before taxes and fees. Take advantage of this special offer to see opium today. Save up to 50% off tickets. Rates start at just $59/pc before taxes and fees. 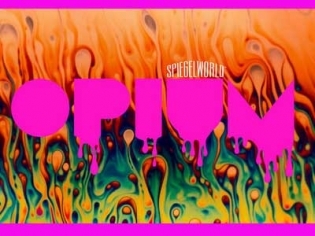 For a ride that is out of this world and filled with humor, raunchy and offbeat acts, step into the Opium den at the Cosmopolitan. For a close encounter with a spaceship of fools slip through the space/time continuum for the fast and funky Opium show at the Cosmopolitan. From the creators of Absinthe this sci-fi comedy show has a live band and a storyline. We follow the OPM (Orbital People Mover) and the crazy crew through spicy songs, extreme dance, sword swallowing, juggling and many, many silly, dirty jokes. You will find favorite characters; maybe the chanteuse Dusty Moonboots or the Captain Ann Tennille, or the lieutenant who is obsessed with Queen. Dubbed “Rocky Horror meets Austin Powers” this show is sure to please the fans of that type of genre. Title your review – If you could say it in one sentence, what would you say? *All promo codes, discounts and coupons are aggregated from third party websites and subject to change without notice. Travel Vegas receives commission for many of the offers listed on this website. © 2019 Travel Vegas - All Rights Reserved.